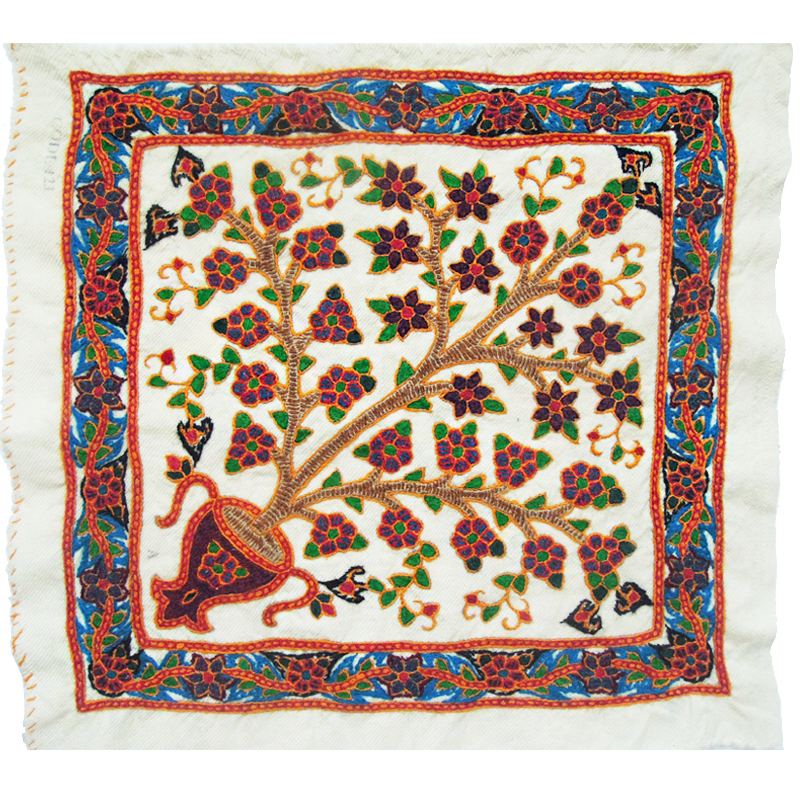 Pateh is an Iranian traditional needlework art. The fabric used to produce a pateh is thick and made of wool. Artists, who are mostly housewives and girls, create mental imagery inspired by their personal thoughts and insights on the fabric with the help of a needle. The most valuable work is done on white, red or blue fabric. Sometimes needlework is done on most parts of the fabric and very little space is left in the plain, and sometimes the entire fabric is crocheted. Pateh with more delicate needlework is more valuable. When the needlework is done, pateh is soaked in cold water and soluble washing powder for a short time. The artists gently grasp it and throw the water several times until the water is completely clear. Then, they dry and steam it with steam iron. Wet pateh should not be left on a hanger to dry because it makes the fabric to stretch. In order to prevent the damage and to protect pateh from bugs, pateh should be kept in a cool place where the air flows. Inside suitcase is not the right place for it. It would be better to keep it in a cotton cloth with a fragrant soap. 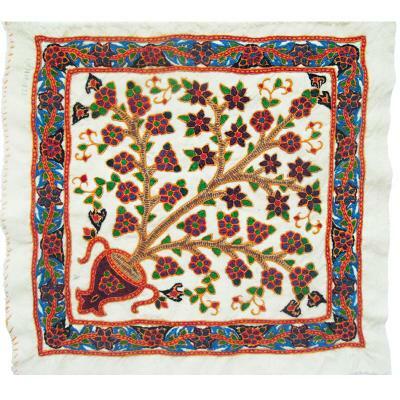 The patterns which are used in Pateh are normally divided into two main groups: "The Paisley" and "The Tree of life".